If you’re craving an adrenaline-packed experience and have a need for speed, Pole Position Raceway in St. Louis will get your heart racing! A unique destination for all your entertainment needs, Pole Position isn’t just your average go kart racing track. 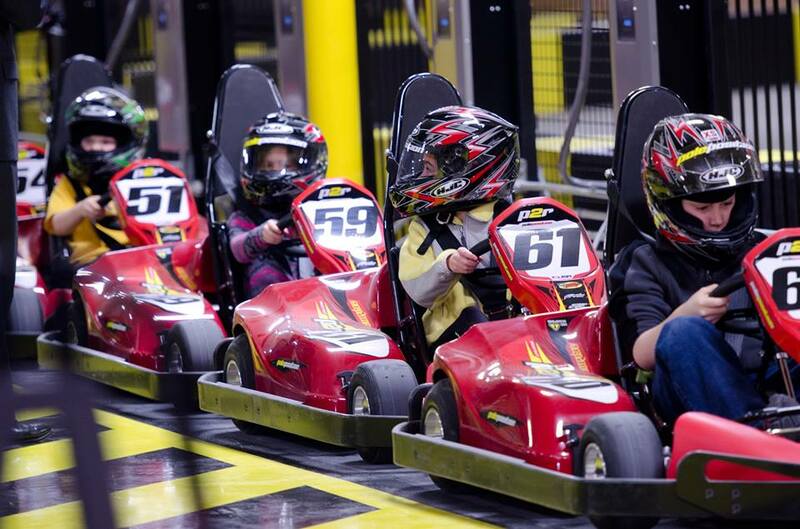 Our state-of-the-art facility features European indoor electric go karts that accelerate at speeds over 45 MPH. You can’t find this adrenaline rush anywhere else! Arrive and drive daily as we accept walk-ins 7 days a week and offer open racing on a first-come, first serve basis. Interested in a group event? Our 56,000 square foot facility includes an indoor speedway well-equipped to handle individuals as well as groups of up to 200 people. We offer multiple package options with full-facility buyout or race track rental per hour for many events. We allow up to 11 drivers on the speedway at a time and racers can either compete for the single, fastest lap time or in head-to-head action. A typical race lasts about 10 minutes. In addition, Pole Position offers a wide variety of race formats, such as the Indy, the Sebring and the infamous four-race Daytona. Whether you’re a go karting beginner or an experienced racer, our high-performance electric go karts provide intense racing excitement for everyone! Pole Position Raceway is located in Crestwood, Missouri. Just minutes from downtown St. Louis and conveniently located near highway 44. Call us at 314-925-7545 or Contact Us today at to learn more information about our large facility. Need a meeting space that won't break the budget? Book our 1,500 square foot conference room for only $100 per hour. Pole Position Raceway in St. Louis is independently owned and operated by Archangel Karting, LLC.